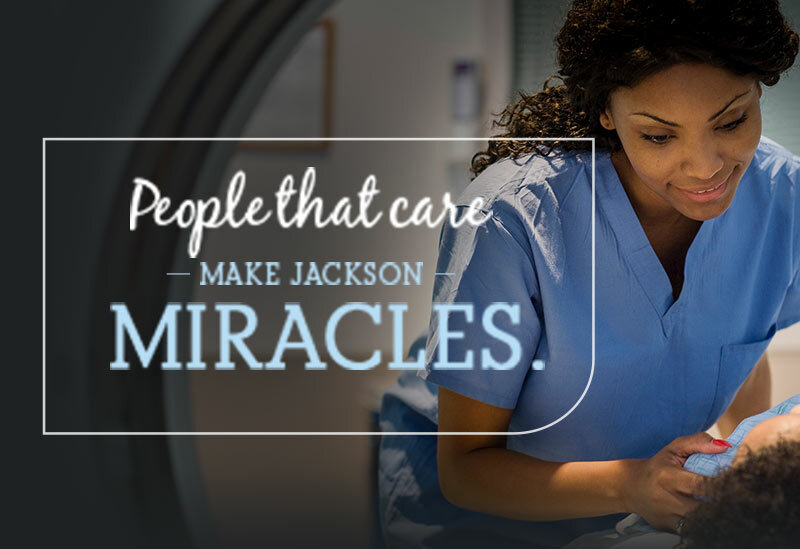 While no events are currently scheduled, at Jackson Health System, we are always looking for new miracle makers to join our team. During our hiring events and other activities we make sure there are multiple opportunities for you to meet with us. At every event, we are looking for talented people who identify with our care values. Creating connections that are sensitive to the physical, emotional, and spiritual experience of health care. Taking responsibility for both our individual tasks and the broader results we seek as a system of caregivers. Upholding health care's highest professional standards, seeking at all times to empower and dignify others. Constantly learning new ways to be better professionals, better leaders, and better people. Does this sound like you? Then we’d love to meet you! Fill out the form on the right and we’ll be in touch. Until then, you can explore our current opportunities here. AND WE ARE CELEBRATING 100 YEARS! Add your contact information and we will email you about our next event. We care about your privacy. Your data is safe and we will never sell your information to anyone.